Our membership packages are great value for money. We've tailored them to make fitness and well-being activities accessible to everyone. We have pay as you go options, a partnership with PayasUgym and we also offer concessions. You can now save money on our memberships by signing up to Direct Debit. Once you have chosen your package from the options below, sign up now. All new members will receive a gift pack when they first join the gym. This includes a drawstring bag, T-shirt and a drinks bottle. * Except No Strings Badminton, which costs £2 per class, and FTZone classes, which are £8 per class. Bronze members can book classes seven days in advance. *Annual membership offers the same benefits as Platinum membership. The Academy of Sport offers corporate memberships at competitive discounted rates with all the benefits of the Platinum membership package for a minimum of 5 members per institution. One free off-peak hour in the Sports Hall is granted per month for groups of 25 or more. An institution with 5 or more members becomes eligible for LSBU staff rates, as shown above (this is applicable only to the 12 month package). Visit the Academy of Sport reception desk which is located on the ground floor of the London Road building (on the corner of Thomas Doyle Street). The team will answer any questions, provide a tour of the facilities and help you to select the appropriate membership package. Payment can be in the form of a credit/debit card or cash. Once you have joined, you will then need to book an induction which is included at no extra cost. You can also join via Direct Debit. 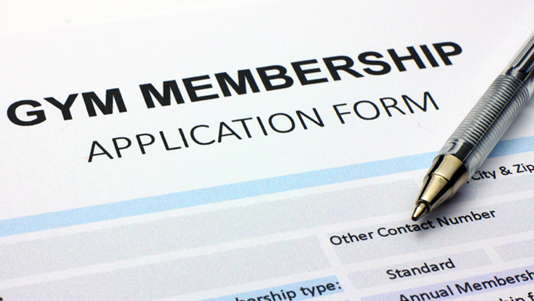 For further information download our Membership Terms and Conditions (PDF File 217 KB). You can take classes and use the gym on a pay as you go basis. Gym sessions are £6 each, classes £7 and FTZ classes £9. Just go to the Academy of Sport reception and make your payment ahead of each session. Please note: In order to use a locker during your visit you will need to leave a £5 (cash only) refundable deposit for a locker key, refundable on return of the locker key when you leave. The Academy of Sport has partnered with PayasUgym to give the general public who do not have a membership with the Academy of Sport, but have a PayasUgym pass, access to our gym facilities. If you are a PayasUgym member, complete a casual user form on your first visit to the Academy. Alternatively download and complete the Casual User form (PDF File 89 KB) and email it to us at sportscentre@lsbu.ac.uk, so your details can be added to our database for quicker access to our gym. In order to use a locker during your visit you will need to leave a £5 (cash only) refundable deposit for a locker key, refundable on return of the locker key when you leave. Concessionary membership rates are available at the Academy. To qualify for the concessionary rate clients must provide evidence that they are eligible. Evidence must be dated within one month of the joining date, if applicable. Proof of date of birth must be provided (i.e. passport or drivers licence). Proof of registered disabled status and a disability number must be provided. The Academy of Sport has partnered with BUCS to offer the Universal Gym Membership, which will grant you access to over 50 higher education sports facilities with an annual membership at your affiliated university. Once the membership is purchased, you will have access to all gym and class facilities in any partner university linked with the BUCS Universal Membership. Find out more. To ensure that you are getting the most out of your membership and your sessions, we recommend that you get some professional guidance from us. On-going personal training is available to support your exercise routine with fitness expertise, and provide you with continuous feedback and accountability. Our team of qualified personal trainers are available to guide you through a successful physical, physiological and psychological journey, helping you reach your fitness goals and needs. Personal trainer sessions are available from £26 per hour, or £15 for a 30 minute session. Alternatively, a one-off personal exercise programme can be prescribed to help you achieve your goals. You will spend a few minutes answering some standard questions regarding your fitness goals and objectives. From there one of our personal trainers will write you a detailed exercise programme and guide you through it to ensure you are familiar with all of its components. A personal programme booking lasts for one hour and is charged at £26 for all members. Lockers can be hired for a period of 3 months at a cost of £31 or 12 months for £67. The first payment is subject to a £25 deposit, which is returned upon completion of the locker hire period, providing the locker is not damaged and the key is returned.